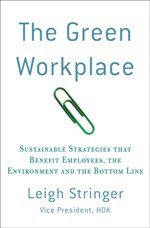 If any of you are wondering... has it ever been really proven that a green workplace is a productive one? The answer is YES! There have been studies galore, from places like Carnegie Mellon, UC Berkeley and University of Michigan just to name a few. 1. Views to nature and gardens. It's one of those physiological things, but the ability for humans to view plants and trees (either indoors or outside) effectively relaxes the mind. The ability to quickly look away from your computer screen (even for a few seconds) and glance at a plant or landscape provides the right mental "break" to keeps you productive throughout the day. 2. Daylight and sunlight. Germany and other countries are way ahead of the U.S. on this one. They've written access to daylight into their building codes (no person can be so many feet away from the window). In the U.S., LEED gives credit to spaces that provide windows 15' or less from where people are sitting. What is important about this access to natural light is the change in lighting levels during the day. Noticing that "it's light vs. dark outside" plus visual access to the weather provide stimulation and awareness of nature. 3. Sensory change and variability. Miles and miles of vanilla-colored workstations that are all the same height and appearance, as a rule, does not support productivity - particularly for an organization that requires creativity as part of its value proposition. A lack of visual stimulation during the day dulls the senses and affects our ability to stay alert. Changes in color, lighting, texture, spatial volume, etc. are important to keep the brain stimulated. 4. Personal control. How many space heaters and fans are hiding under desks in your office? I can't tell you how many buildings I've been through where the facility staff keeps the VAV boxes on the wall, but then "turn them off" because of the large number of hot/cold complaints they get every day. This solution keeps their phone from ringing, but leads to frustration that makes everybody miserable! Turns out, everyone has a slightly different idea of what is comfortable, and to keep us all at our productive best, individual control of the environment is critical. And it's not just temperature and air flow; individuals need control over noise, lighting, desk height, monitor color, keyboard button location, chair adjustability, etc. 5. Regular exercise. 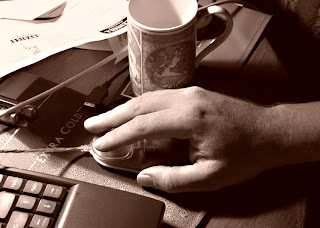 Most of us "knowledge workers" spend a lot of time staring at a computer and not a lot of our day moving around. But guess what? All those annoying fitness instructors are right. Exercise makes us more productive and keeps our minds active. Buildings can help with well designed stairs and access to showers, bike racks, jogging trails, weight rooms, etc. Green Buildings, Organizational Success, and Occupant Productivity by Judith H. Heerwagen, Ph.D.